Liz Worthen takes a reflective look back at what’s changed (and what hasn’t) in regards to stretch and challenge for more able pupils. When the gifted and talented initiative launched, back in the heady new Labour days of 1999, our first (and ongoing challenge) was the name itself: what did it mean to be gifted and talented? Why did we need to worry about these children – weren’t they the ones who were getting on ok anyway? 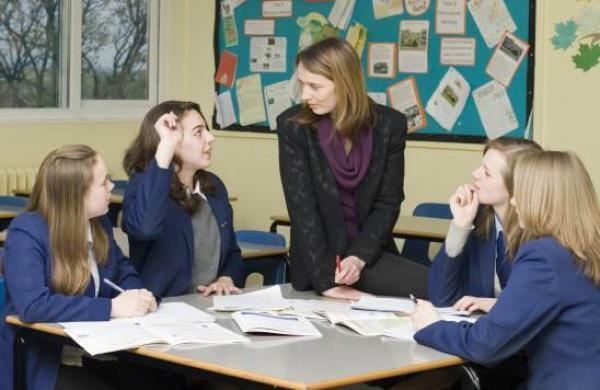 Shouldn’t we be focusing on the pupils with SEN or EAL – surely their need was much greater? And who were we to decide who was ‘gifted’ anyway? My London comprehensive was one of the first recipients of funding. As a keen NQT, I was intrigued by the new programme and willing to put in some extra hours to help my fellow English teacher Ian Warwick get it off the ground. It became clear that getting tangled up in the intricacies of identification wasn’t going to get us very far. We did compile a gifted and talented register (my basic knowledge of Excel pretty much made me a data whizz at that time) and ‘encouraged’ teachers to nominate those students who were doing well, or who had the potential to do well, in their classes. Then what? Did we tell the parents? The pupils themselves? How often did we have to review this register? Classroom provision seemed a better focus for our efforts, as that was where we could have more effect on the daily experience of pupils. So began a process of putting together ‘quick tips’ on areas such as questioning and thinking skills, sharing them via the staff newsletter, briefings, training days (if we were successful in fighting for a slot) and word of mouth or pigeon-holes (no school email in those days). Some things change, some stay the same. Fast forward seventeen years to the Optimus Education 2016 supporting the more able conference and one of the first workshops of the day is on ‘effective differentiation in the classroom’, promising ‘new techniques and strategies’ to stretch and challenge learners. Unfortunately I haven’t been able to lay hands on a copy of the programme for the very first Optimus ‘gifted and talented update’ conference, which took place back in 2003. But I’d be willing to bet that it features a workshop on classroom differentiation strategies. That focus on classroom provision and the equipping of teaching staff with appropriate strategies for stretch and challenge has been a constant theme throughout the various manifestations of the gifted and talented programme – perhaps the only constant theme, running through from NAGTY’s professional academy to the National Strategies and beyond. While several of the gifted and talented programmes began with a focus on enriching experiences for young people, professional development for teachers became increasingly important. In 2004, I took a break from teaching and joined the newly formed London Gifted & Talented (a break which has admittedly lasted longer than was originally intended). It was an exciting time with an enthusiastic team committed to increasing opportunities for pupils from all walks of life to realise their potential. Working in partnership with various organisations and local authorities, we sponsored a range of stimulating, extra-curricular programmes. Great experiences for the students involved; what about the impact for pupils and teachers back in school? When we thought about the numbers, the answer was clear. Providing development experiences for teachers could yield much greater impact in terms of the number of pupils reached. So, we channelled our energies into creating a series of learning networks for teachers, blending a ‘live’ and online experience, with each participating teacher also committing to sharing their learning and resources with staff back in their own school. A much more successful model in terms of creating lasting change. It’s a surprise to some that ‘gifted and talented’ is still around at all. With funding for NAGTY coming to an end in 2010, it was farewell to the gifted and talented scheme. Followed by the winding up of the National Strategies in 2011 and widespread cuts to budgets bringing an end to local authority support, surely this was the end for the role of the school gifted and talented coordinator? Apparently not. Numbers of delegates for the Optimus annual G&T conference actually rose from 190 in 2010 to a bumper 340 in 2012. Looking at the job titles of those attending in 2012, gifted and talented coordinator is still the most predominant, with plenty of deputy heads, assistant heads and teachers thrown in. If we skip ahead to 2014 (280 delegates), the job titles become more varied. That ongoing discomfort with the notion of ‘gifted’ manifests itself in an increase of ‘more able’ or ‘most able’ coordinators, or variations thereof, including my favourite: one lucky delegate is the ‘Exceptionally, Highly and More Able Programme Manager’ for their school. That change is reflected in the titling of the conference too. We’re now ‘supporting the more able’, rather than the gifted and talented. What I see in this year’s conference programme is a focus on the tough realities of a more challenging curriculum and exams which demand excellent memory skills. Mastery was the hottest topic arising from our pre-conference research, reflected in the theme of ‘deeper learning’ which runs throughout the day. We also saw more requests for subject specific support, resulting in workshops on increasing confidence and stretch in primary maths and English. So, after all the twists and turns of government policy, funding (or lack of) and changing initiatives, it feels like we’re finally back to basics: how do we ensure every child gets to experience in-depth, challenging learning and is equipped to face the demands of our assessment system? It’s not a bad place to be. Though I will miss the endless scope for gin and tonic related-puns, surely one of the best things about the whole business of G&T.